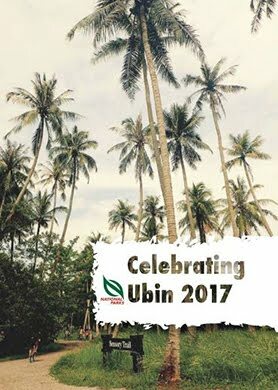 The Pesta Ubin 2017 Report! 900 volunteers from 45 Organising Groups offered 100 activities catering for an estimated 8,000 participants over 10 weeks! Volunteers and Uncle Lim at Pesta Ubin Central. 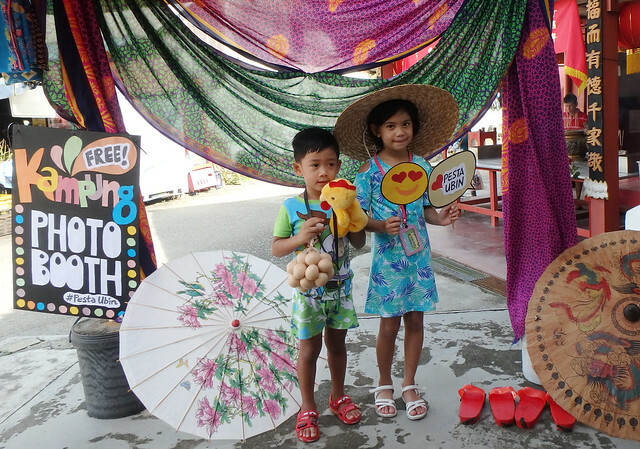 Here's quick highlights of happenings at Pesta Ubin! Pesta Ubin is Ubin Open House! From the 10 May to 16 July 2017.
more about what the word 'Pesta' means. What's special about Pesta Ubin? 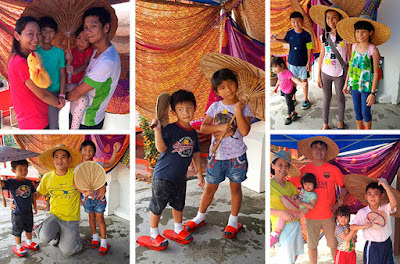 Once a year, people who love Ubin step up to share with the public their special slice of Pulau Ubin. 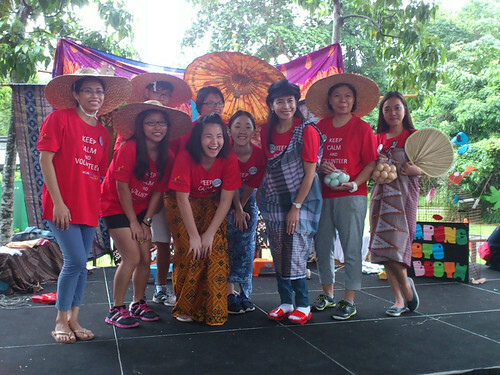 Led by the community, Pesta Ubin activities are organic, heartfelt. Passionately highlighting Ubin's unique charms. Get a taste of the kinder, gentler way of life on Ubin during Pesta Ubin. More about Pesta Ubin. 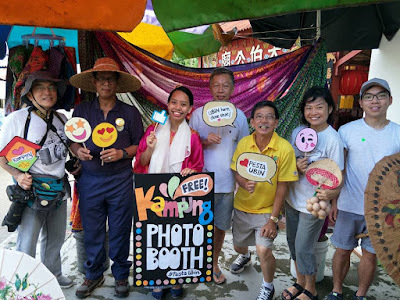 People passionate about Ubin joyously offer Pesta Ubin activities. What's happening at Pesta Ubin? 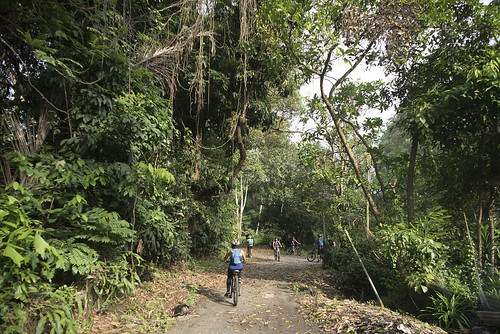 Many Pesta Ubin activities are free of charge. Some do NOT require registration. Simply come to Pulau Ubin and join the fun! Find a Pesta Ubin activity that suits your schedule and interest! Don't say Bo Jio! Every weekend got something on! "A great way to chill and leave our urban life away. I was transported to the good ol' kampong days and many memories came flooding back.. I felt like a child again and this experience is so precious!" says Belinda Low after her trip to Ubin. Pesta Ubin in the news! Thanks to Lea Wee for featuring Pesta Ubin in Straits Times Life just before the school holidays! Thanks to the support of many kind hearts, news about Pesta Ubin is reaching more people! Let's colour this rare map together! This intricate 15-year old map is full of details of Ubin kampungs, places, people. Some of which are already lost. Also, the amazing mangroves, forests and wildlife that abound on the island and in the waters around it. Let's colour this rare map together during Pesta Ubin! It takes hours to colour this antique map! 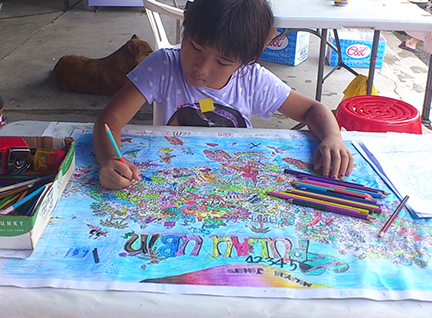 Come to Uncle Lim's shop to colour a shared copy of the map with everyone. This colouring activity is free. If you want a map of your own, limited copies are for sale at Uncle Lim's shop throughout Pesta Ubin. Thank you to Uncle Lim for hosting this Pesta Ubin activity. Just drop by Uncle Lim's shop at the centre of Ubin Town. Choose from cool props and quirky kampung accessories. 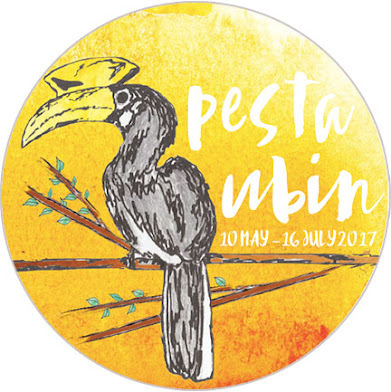 Take a photo and post it #PestaUbin so your friends share in the fun at Pesta Ubin! Available every weekend of Pesta Ubin! A perfect escapade for those who enjoy the immersive experience of cycling through untainted surroundings of nature - this adventure is not to be missed! Choose from day or night kayaking trip, starting from Living Fisher Village. Enjoy Ubin's waters and help make a difference for Ubin residents. Day Kayaking round Ketam island (during low tide) or Mangrove (during high tide) with a professional guide. Night Kayaking round Ketam island (during low tide) or Mangrove (during high tide) with a professional guide and safety boat. 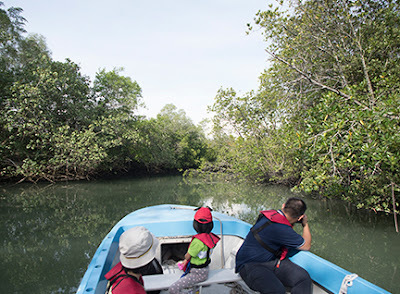 Join this 30-minute boat tour for a special view of the lush mangroves of Pulau Ubin. 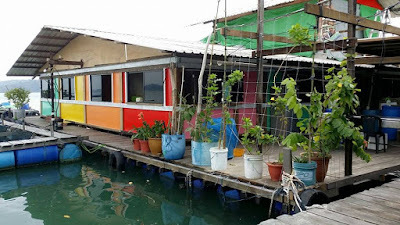 Join this 1-hour tour of the floating fish farms around Pulau Ubin. Did you know there are 60 fish farms around Pulau Ubin? This is an exclusive opportunity to join Phillip Lin (chairman of Singapore Marine Aquaculture Cooperative and an ex-commercial diver) as he takes you on board his boat and shares openly about his life as a fish farmer. Starting at the Assembly Area before proceeding to the former Bin Kiang School site. You will then head over to the Sensory Trail pond to learn about the habitat restoration efforts before making stops at Pulau Ubin’s former headman’s house and Kampung Melayu. 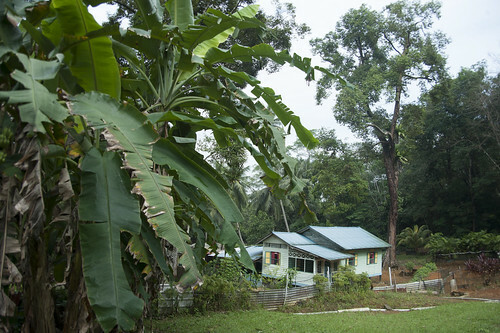 Tour participants will also visit a rubber plantation that once supplied Singapore, and possibly the region, with latex, and learn more about the different plants that played a major role in shaping this country’s culinary delights at the Ubin Fruit Orchard before ending the tour at Teck Seng’s Place – a restored Chinese kampung house. 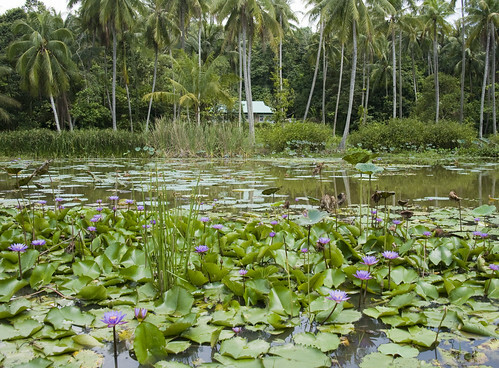 Take a walk with us to experience Ubin's wonderful natural and cultural heritage. The 2.2km trail takes about 2 hours to complete. The tour will start at the Ubin-HSBC Volunteer Hub and take you through the spice trees around Jelutong campsite, Butterfly Hill, Pekan Quarry, Sensory Trail Ponds, Kampong House, Old Bin Kiang School site, Toa Pek Kong Temple and end at the Wayang Stage. You will hear about the use of spices in cooking and the interesting history of the different sites. Do you know what the Ubin-HSBC Volunteer Hub was in the 1970s? When was the Toa Pek Kong Temple built? If you would like to know, then this is an excellent introduction to the heritage of the island.